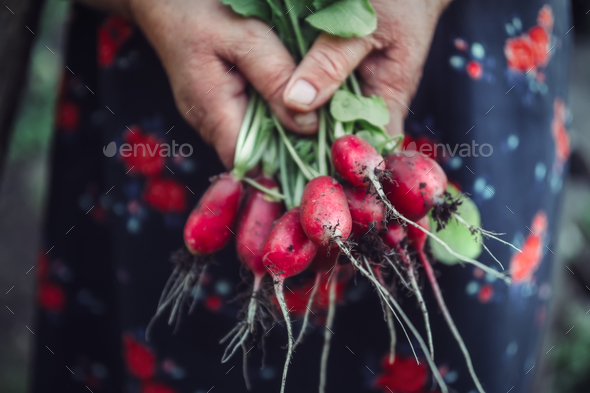 Red radish in hand while harvesting. Organic vegetables. Healthy food.